Unless you request otherwise, we ship UPS (insured). 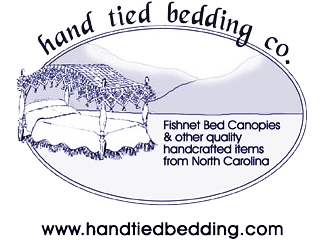 Shipping charges are $10 per item for all of our Bed Canopies, Coverlets and Accessories. All orders are shipped within at least thirty days, normally within 2–3 weeks. The shipping cost of the bed and furniture items is already included in the price. Please allow 4–6 weeks delivery of the bed and furniture items. ©2019 Hand Tied Bedding Company, All Rights Reserved.